These are pictures from Barrow, Alaska. 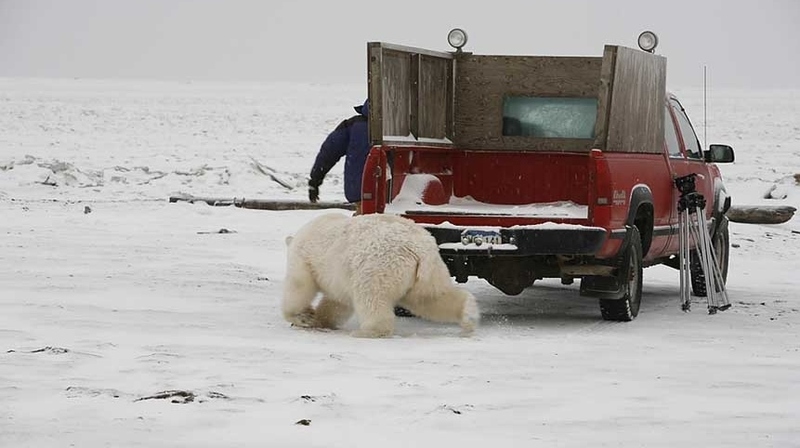 A photographer got careless and let the bear get too close and he did not have time to get into his truck before the Polar Bear started chasing him around the truck. This is just a small bear. It’s probably only 2 years old and on it’s first year without its mother. A full grown male Polar Bear can get up to be three times this size. 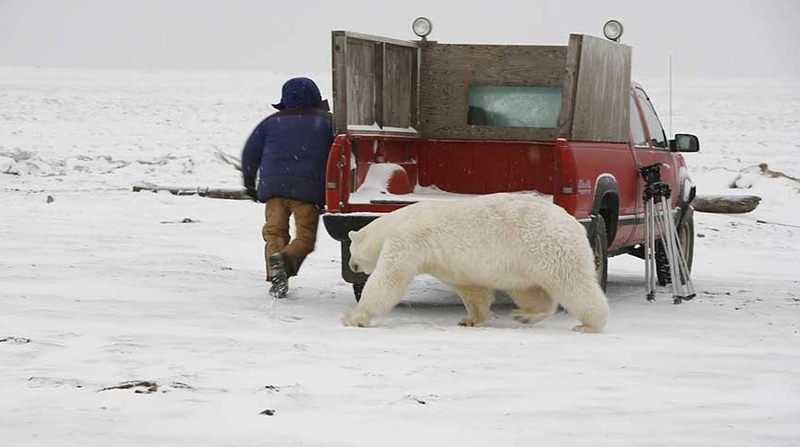 Hiding in a truck or car would not save you as any polar bear could smash though the car glass in seconds with very little difficulty.